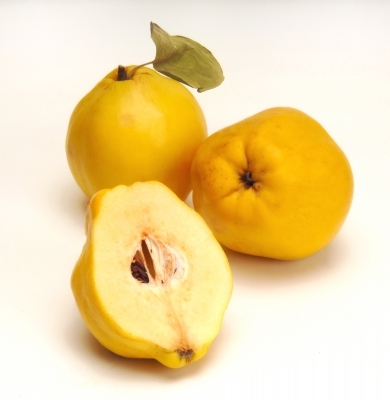 We grow quince in Oregon’s Willamette Valley. Our variety, Portugal, is bright yellow with a smooth skin. This large fruit becomes crimson when cooked and has aromatic flavors. We supply restaurants, grocery stores, cider makers and distillers. All fruit is hand picked throughout the fall season. We use only organic methods throughout the orchard. For orders please contact us.